The team behind IBPSA is dedicated to success and safety for those who work in the world of pet care services. Each person on the IBPSA team brings a unique strength and area of expertise to the association. This ensures that IBPSA Members have expert knowledge in all areas, from hands-on pet care to successful business operations. Carmen Rustenbeck is Executive Director & Founder of the International Boarding & Pet Services Association (IBPSA), a non-profit professional business association for the pet care services industry. 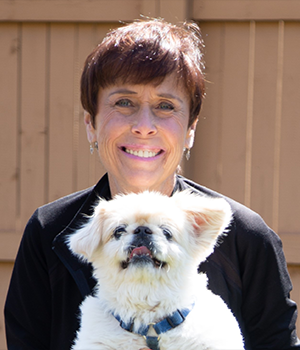 She has been involved in non-profit work for over 20 years and active in the pet care industry since 2004. 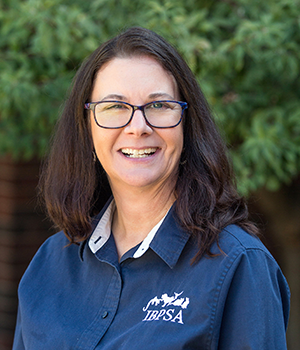 Carmen founded IBPSA in 2010 and has dedicated herself to building a member-centered organization that promotes business education, best practices, and profit-maximizing strategies for the safety and security of pet clients and staff, and for the financial future of association members. Carmen has been named a Pet Age Woman of Influence and is a Silver Stevie® Award winner for Female Executive of the Year – Government or Non-Profit (10 or Less Employees). She also serves on the Leadership Council for the National Small Business Association (NSBA), the nation’s oldest small-business advocacy organization. 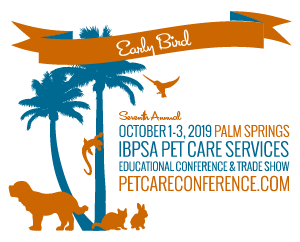 Under Carmen’s guidance, IBPSA launched its association magazine, Pet Care Pro Quarterly, and its annual Pet Care Services Educational Conference & Trade Show, attracting hundreds of pet care professionals from around the world. Carmen is active in her community through her support of the Companion Animal Program at New Mexico State University where she regularly speaks to students, hoping to help guide and assist future pet care providers and, in her spare time, she can be found walking dogs at the local animal shelter or working as a mentor to small business owners in the pet care services industry. Ben was appointed the COO of IBPSA on January 1, 2019. He previously served on the association’s Advisory Board since 2011. Ben has worked in the safety profession for more than thirty years and is an established risk management and safety expert. He has been published in multiple industry magazines and speaks to large industry groups across the U.S. on how to set up a successful safety program to protect your greatest asset – your employees. Ben teaches CPR/Medic First Aid/AED and instructs on a variety of safety and HR topics. He also holds multiple certifications in different aspects of the safety, risk management, and loss control fields. As the owner of BD Business Consultants, he assists business owners in all aspects of business solutions. Ben is a native Texan whose career in safety began when he worked for a university police department, followed by seven years in safety and security for a large telephone company. In 1993, he transitioned into the Professional Employer Organization (PEO) business where he served as a safety consultant and vice president of risk management for two different PEOs in the Dallas area before forming his own consulting business. In his free time, Ben enjoys spending time with his lovely wife Sonia and two toy poodles, Donny and Daisy. He is active in his local church and community serving on several boards and committees. Kelly Cullum is the CEO and owner of Best Friends Fur Ever Inc. (BFFE), a full-service canine care organization with 80+ dog care professionals and two locations in the Baltimore, Maryland, area. BFFE opened its first location in 2004 and its second in 2012. BFFE entertains between 100-200 guests per facility daily with daycare, boarding, special needs/medical boarding, training or grooming services. Under Kelly’s direction, BFFE is dedicated to the comfort, safety, and well-being of all our four-legged guests. This pledge to their four-legged guests and their parents has secured a 9,000 + customer base for both BFFE locations. 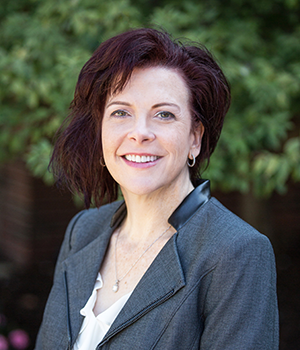 Before founding BFFE, Kelly enjoyed 22 years of corporate officer management experience in various officer positions such as COO of Binax and General Manager/Corporate VP of Idexx Laboratories, a veterinary diagnostics firm. She and her husband, Pat, were ex-pats living in Japan managing 11 of the Pacific Rim countries for Idexx. Kelly has proven ability to develop senior management teams, markets, and services as well as an extensive track record of over-delivering top and bottom line targets. She has operations management experience in driving high margins and profitability. Kelly works with her husband, co-owner/co-founder, as well as an outstanding senior management team to deliver unparalleled dog care experiences for their external and internal clients. She is the proud “Mom” to five geriatric pups and the company fosters 16+ rescue dogs at both locations. BFFE has placed over 400 rescued dogs into loving homes through this foster effort. Kelly is also on the board of the Baltimore County Humane Society. 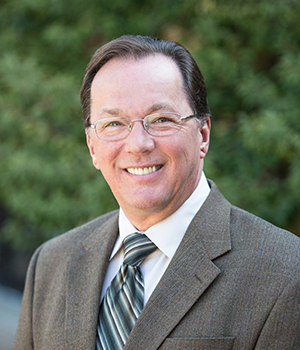 Mike Hajduk currently serves as president of Callahan Roach Business Solutions, pricing and financial experts for service providers in a variety of industries, including pet care. 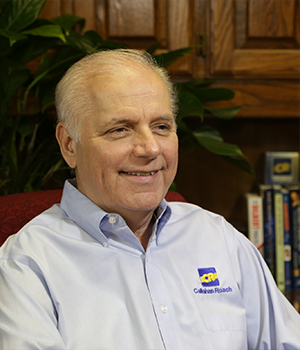 Mike manages and oversees the day-to-day operations of the company based in the Dallas suburb of Arlington, Texas. Since 1989, the company has delivered products to or trained over 5,000 service providers in the U.S. Mike brings an abundance of smart pricing and financial insight to IBPSA. Before joining Callahan Roach Business Solutions in late 2000, Mike served as executive vice president of Excellence Alliance Inc., an organization of allied service contractors. He has also directed the marketing systems division and was vice president of training and development for Callahan/Roach & Associates, then the parent company of Callahan Roach Business Solutions. 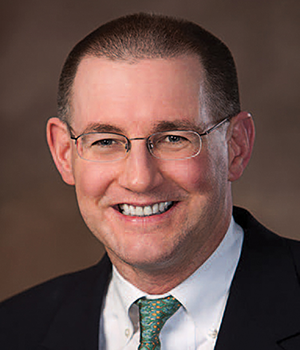 Mike earned his bachelor’s degree in business and economics from the State University of New York and attended Syracuse University graduate business school. He has been married to Lynette for 44 years and they have two daughters, Kristen and Jennifer, and two beautiful grandsons, Michael and Miles. Alex is an accomplished brand builder via leadership in innovation and teamwork driving significant business growth. In 2011, he conceived, founded, and launched the Kinn, Inc. brand of pet care products. He has 30 years of increasing responsibility in general management, brand marketing, and product management senior leadership roles with Kinn, Gillette, Braun, Bell Sports, Sara Lee, Sylvan Learning Center, Hampton Products International and TopicalNet based in the U.S., Spain, Germany, and Scandinavia. Alex brings a wealth of experience to IBPSA thanks to his global experience in strategy, brand building, product design and development, sourcing, new category development, strategic alliances, consumer research, advertising, internet marketing, promotion and category management. Alex holds an MBA from Northwestern University’s Kellogg Graduate School of Management and a BA from Duke University. He is fluent in Spanish and proficient in German. 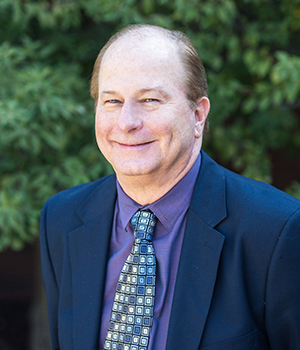 He also serves on the board of directors for Pacific Symphony and Mission Hospital Foundation. He is an active supporter of non-profits including his local Church of Corpus Christi. His passions include family, animals, working out, international travel, classical and jazz music, investing, and wine. Jessica Finnegan is the Director of Operations at Greenbriar Veterinary Hospital & Luxury Pet Resort. Greenbriar, a hybrid of resort and hospital, is one of the largest boarding resorts in the United States. She received her degree in Business Management from Edinboro University in Edinboro, PA. After graduating, she continued her education by obtaining her real estate license in PA and worked as Property Manager for a 600-unit complex and a real estate agent to a 200-unit condominium complex where she listed and sold. After a 3-year career in real estate management, Jessica moved to Virginia Beach, VA, where she worked for the headquarters for Al-Anon, an international non-profit where she headed up the marketing, business development, and membership development across the US and Europe. Jessica’s love for travel took her to Sicily, Italy, where she lived for 3 years and had her beautiful daughter. Once returning to the states, Jessica joined an entrepreneur as a Director and moved into a ROM position assisting in the development, and opening of several new locations. This led her to her current passion at Greenbriar where, for the last 10 years, she has led a wonderful team in taking the best care of the guests of the resort and the patients in the hospital. In her spare time, Jessica spends time working with her consulting business clients helping other leaders from many industries create marketing strategies, business development, and employee growth plans. She has one daughter who is studying Architecture at UMD and one frisky feline, Mr. Moo. Homer and his wife Julie have owned and operated Raintree Pet Resort + Medical Center since 1990. They were one of the first pet resorts developed in the USA. Their “Raintree Cat Condos” and patented “Double Deck Kennels” are currently built and marketed by The Mason Company throughout the United States, Canada and Australia. Homer has been mainly involved with the development side of the business, working on the layout, design, and financial models. He spent about ten years helping others develop pet resort properties in several states. Homer’s success has inspired him to get his Real Estate License and earn his CCIM (Certified Commercial Investment Member) designation. There are only about 13,000 other CCIMs worldwide. Recently, Homer and Julie expanded Raintree Pet Resort to add a medical center. They achieved an AAHA (American Animal Hospital Association) accreditation within 4 months of opening. As Raintree Pet Resort + Medical Center, they are now setting the bar a bit higher for the pet care industry. Combination facilities are the future of our industry. 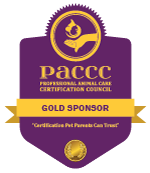 Raintree Pet Resort was the first ABKA and AGSA accredited facility in Arizona. Homer is also a former development advisory member for the ABKA.